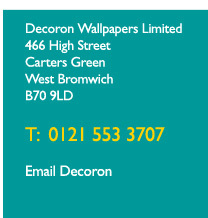 Wallpapers are back the idea of decorating your walls with paper rather than with paint is truly back in vogue. 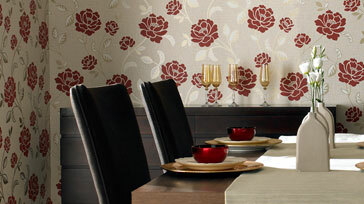 The increased popularity of using wallpaper when decorating a room is well represented in our store. Our large range of featurewall, contemporary and traditional style wallpapers that we have in store, many up to 50% off the rrp, bring together a comprehensive choice of designs and colours from many of the leading brands, including designer brands, to give you, the consumer, the best possible choice of wallpapers, all competitively priced to suit your individual tastes, needs and pocket. 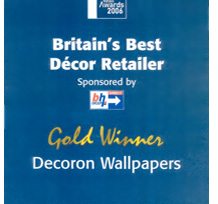 With well over 40 years experience in stocking and selling wallpaper, we understand what consumers are looking for. Our range is regularly updated, ensuring that we are at the forefront in offering the very latest designs and colours in our showrooms. Our unrivalled reputation for offering a large range of designs that are generally different from our competitors is further enhanced by the thousands of designs available from our comprehensive pattern book library. If you are trying to locate a particular design of wallpaper, or may be requiring a competitive quote, please use our contact page with your request.